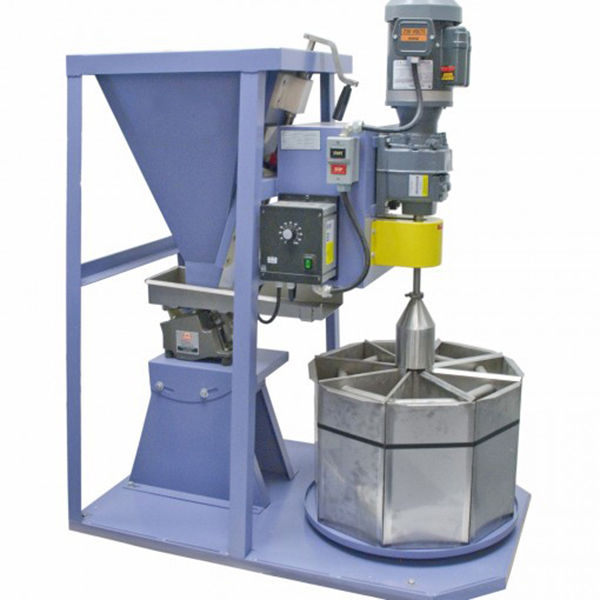 Spinning Rifflers, also called Rotary Sample Dividers, are the most accurate method of preparing representative samples from dry granular or powdered bulk materials. 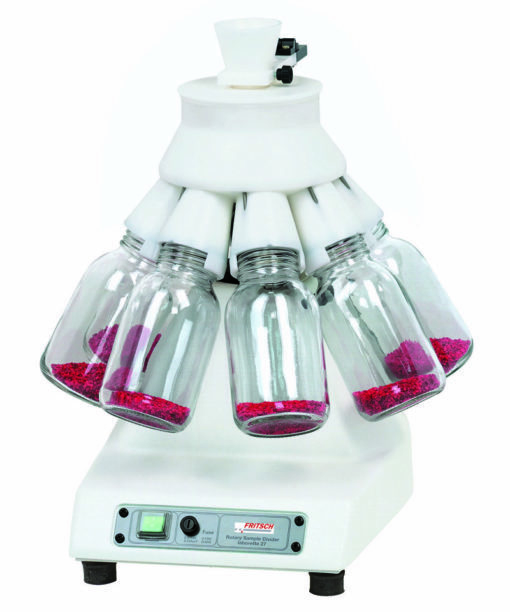 Spinning Rifflers scale up precision dividing and sample preparation for large bulk samples, dry granular or powdered material. 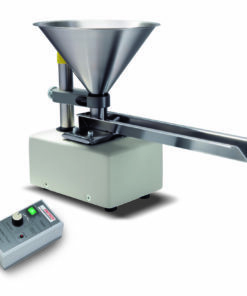 Aggregates, coal, and ores with particle top size of up to 50 mm (2’’) are quickly and accurately split to fractions with less handling and risk of sample loss. The units work equally well for finer granular materials or powders with large initial volumes. Samples that do not flow well through fixed-chute gravity splitters process more efficiently through the powerful vibratory feeder, enhancing accuracy and efficiency, and improving test results. 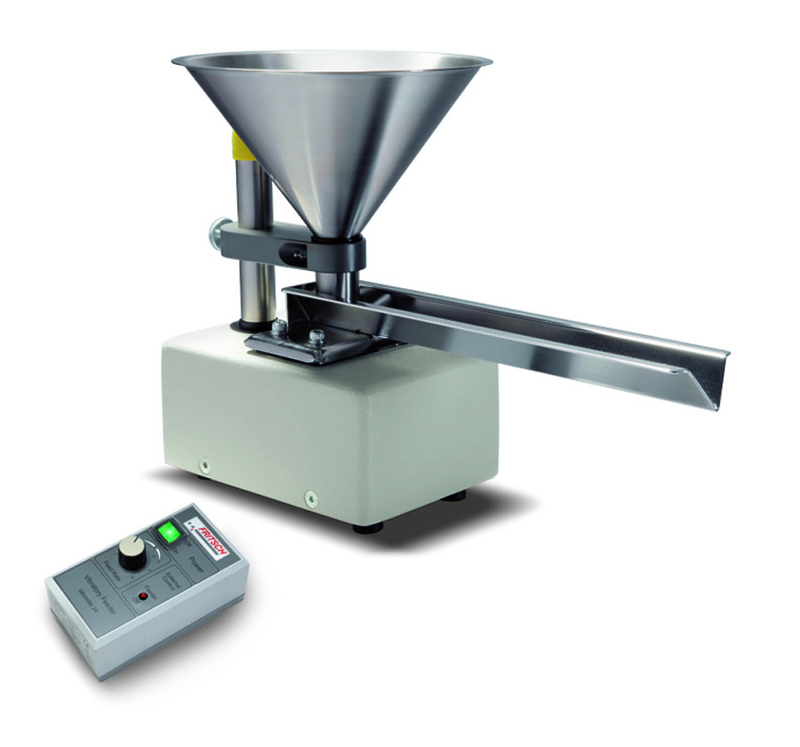 A Spinning Riffler consists of a turn-table having removable sample containers passing through a cascading flow from a vibratory feeder and a hopper. 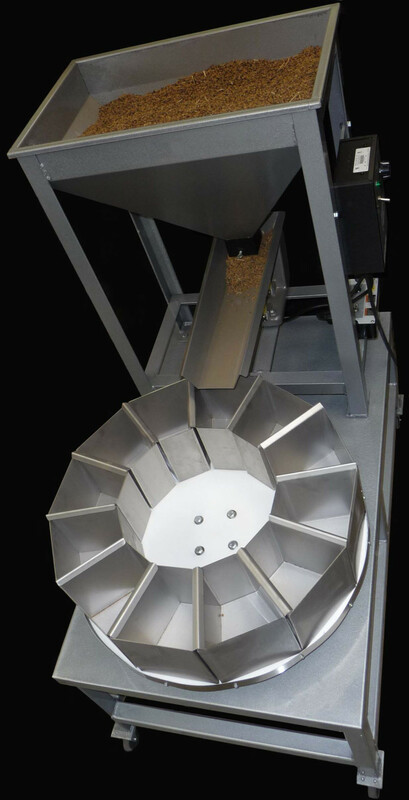 The vibratory feeder, with variable amplitude, assures a constant, controlled flow of material. Riffle sample Splitters, also called Sample Dividers with Chutes, allow dividing samples into two representative subsamples with a good accuracy. 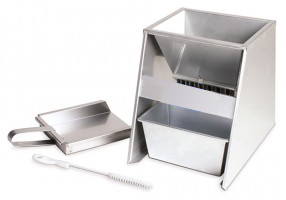 The Rotary Sample Divider Laborette 27 splits fine-powdered or coarse materials into representative sub-samples, with a division accuracy of 99.9%, and assures reproducibility of analysis.